Kelly Vivanco’s world is densely populated with strange and compelling people, animals and environments; each is rendered with an incredible colour palette, a fantastic sense of design and a hypnotic atmosphere of wonder. 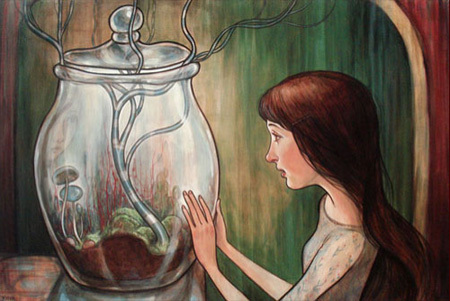 In short, Kelly Vivanco does amazing work. 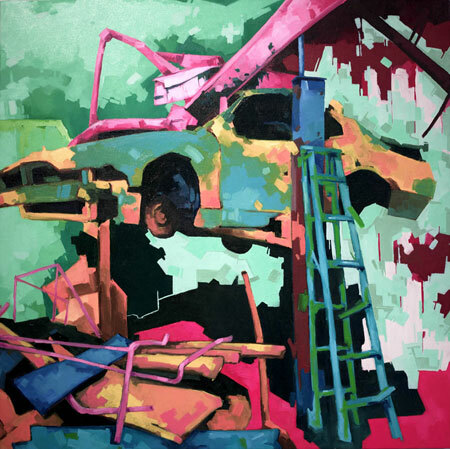 Matt Killen has an interest in the natural progression of order into disorder, which is evident in his approach to colour and form. The work is a great response to the decay of man-made objects and environments all around us. 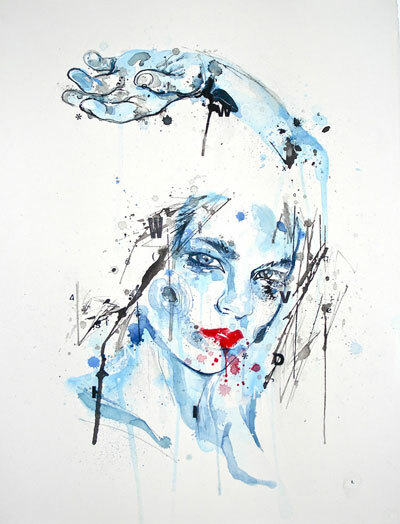 Proving that filmmakers and painters have much in common, Cherylene Dyer uses dramatic lighting and strong compositions to accentuate the tension and narrative quality in her incredible portraits. Ben Tour finds an incredible balance, time and time again, between absolute chaos and rigid control in the line work he uses in his paintings. Fantastic work! While looking through the incredible landscapes created by Elzbieta Krawecka I made a small discovery, which was that listening to itunes on random while surfing artist’s portfolio sites can lead to some interesting soundtracks for the work. I recommend trying it out some time. 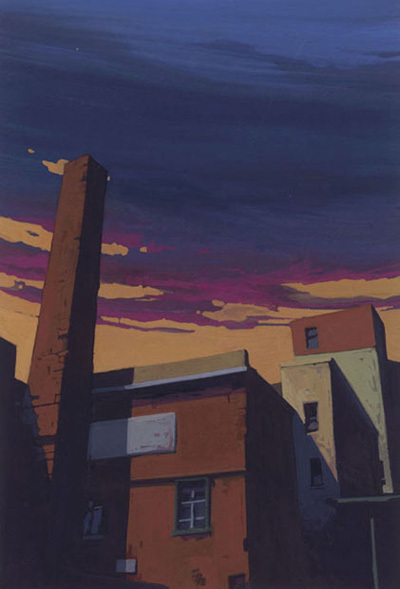 Of course, this isn’t to say that Krawecka’s work requires a score, as her rich colours and dramatic skylines are powerful and captivating all on their own. My first impression of Jim McKenzie’s work was that I was seeing an artist who had both Alex Colville’s sense of composition, and Ken Danby’s attention to detail. 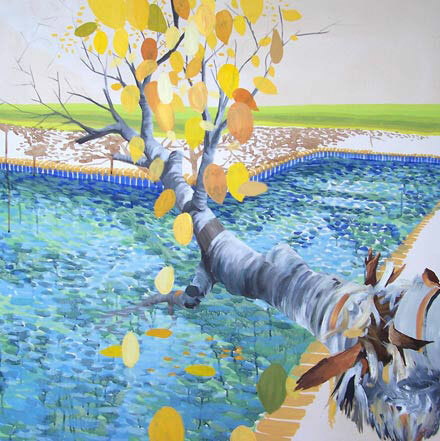 My second impression was that Jim McKenzie’s work is quite beautiful in its own right. 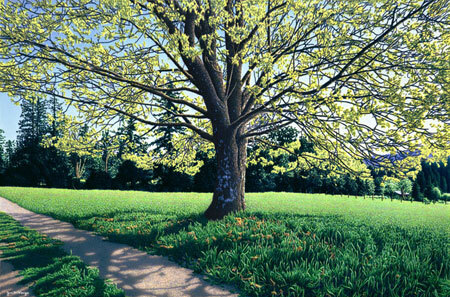 I would like to congratulate Mark Oberndorf on his win in the Palisades Highway Art Gallery contest! 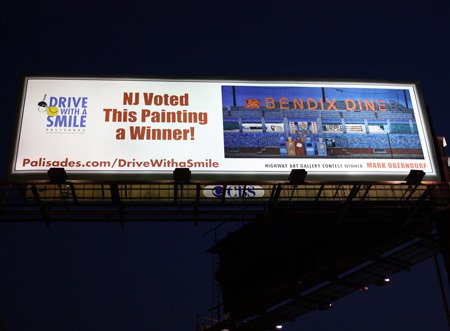 As a result of winning this contest (previously posted about here) his painting “Bendix Diner” is now on display at billboard size along a highway in Berkeley Heights Palisades Park, New Jersey. I personally would have loved to see more image and less text on the winning boards, but I guess that just goes to show that I’m an artist and not an insurance agent. Great work Mark! According to his website, Timothy Callaghan’s process begins with drawings inspired by the space he inhabits. 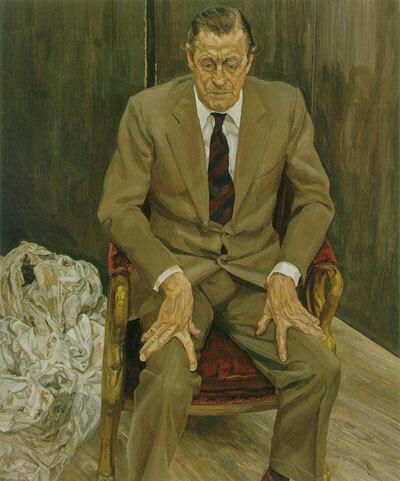 The drawings are then translated onto canvas, and the paintings are completed from memory, rather than with the use of photographic reference. This makes sense to me, as his work, while sometimes straight forward, more often feels like a hazy recollection of a place, or a dream landscape. There is a looseness there that I enjoy quite a bit.